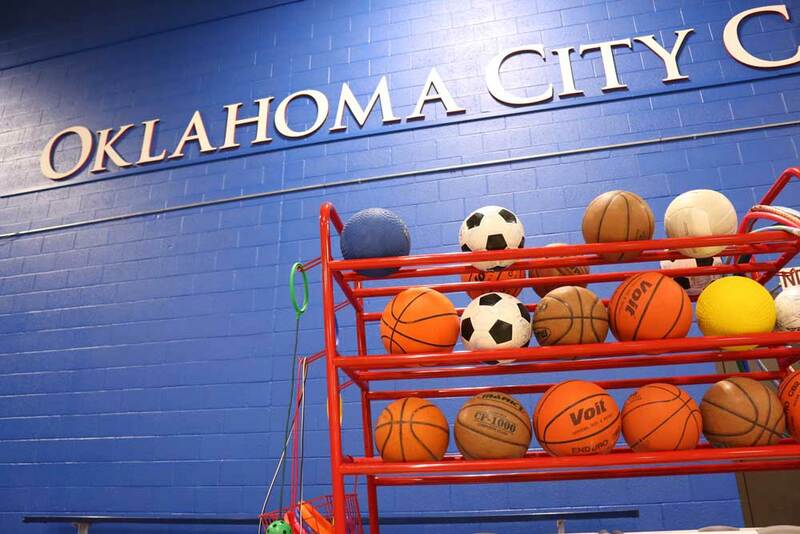 The beginning of the fall semester marks the beginning of a busy few months for OCCC intramural sports, said Sports and Recreation Specialist Matthew Wright. This semester will include some repeat sports such as basketball and flag football, Wright said, but also will include indoor soccer — a change from outdoor soccer which has been played in the past — and pickleball. Flag Football: Flag football will be the first sport of the semester, starting at the beginning of September. It will be played Wednesday nights and Friday afternoons in the field behind the Aquatic Center. Open Run Basketball: Open run basketball is a form of basketball tournament, which, Wright said, gives students opportunities to play on different teams each week if they want. Players don’t have to commit to one team for a season if they would miss some days. 5-v-5 Basketball Tournament: Wright said the basketball tournament will happen in December. Teams must register and compete in a bracket over a two-day span. The winning team will receive IM Leagues T-shirts. Volleyball: Volleyball will take place Monday and Tuesday nights, lasting through all of November, Wright said. With the expansion of the weight room onto the volleyball court, the volleyball court will be moved onto one of the basketball courts. Ultimate Frisbee: Wright said he hopes to have ultimate Frisbee start just after the end of flag football. It will be on Monday nights on the flag football field. Dodgeball: A dodgeball tournament will occur over a two-day span in the Wellness Center Gym, Wright said. The format will be similar to the basketball tournament. Pickleball: Wright said pickleball also will be played in tournament format. It is a more casual and less labor intensive form of tennis, he said. 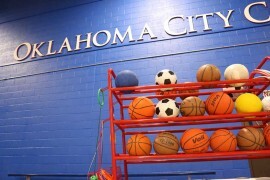 Indoor soccer: Indoor soccer will take place in the Wellness Center Gym, on the basketball court. Wright said he is waiting to confirm the dates until he has the appropriate goals to play indoors. Wright said dodgeball and pickleball also do not have official start dates yet. All sports and times can be found on www.imleagues.com/occc. “Sign-ups for all the intramurals will start on Monday, Aug. 17, when school starts up,” Wright said. For more information, contact Wright at matthew.j.wright@occc.edu, or by calling the Recreation and Fitness office at 405-682-7860.